Completing the quartet of locomotives running during my last visit to the Bluebell Railway is South Eastern and Chatham Railway H class 263. 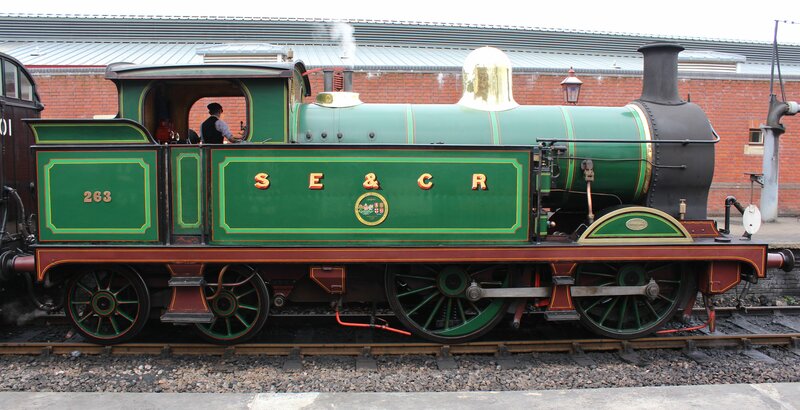 Unlike S15 class 847, U class 1638 and LBSCR E4 tank B473, 263 was not running in olive green colours, but rather the magnificent fully lined SE&CR livery. The Bluebell Railway’s C class (592) has featured many times on this blog, but the H class has managed (unintentionally) to avoid the same level of attention, something that I hope to make up for today! Those who have seen the C class on locoyard in the past will probably recognise the fact that the H class shares many components with it, both types having been a product of Harry Wainwright. The H class were built to work suburban passenger services in London and parallels can be drawn with the LSWR M7 class. Rather unusually, 64 of the original authorised 66 H class locomotives were built at first. The remaining 2 were completed under Wainwright’s successor, Richard Maunsell. 263 was built in 1905 and would have started life doing the job it was designed for, but by the 1920’s and 1930’s the class were relegated to rural duties as a result of electrification of the London suburban lines. 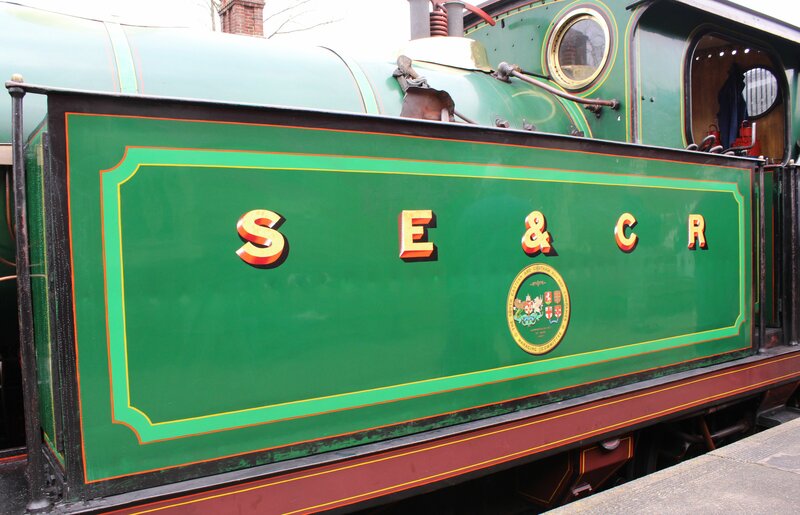 During their time with Southern Railway they were painted in lined olive green and 1000 was added to their numbers, hence 263 became 1263. All but two H class locomotives survived into British Railways ownership (two had been broken for spares after they suffered from cracked frames during the second world war.) BR added 30000 to their numbers and painted the class lined black. A number were fitted to run pull-push services, a task for which they are well known. The last members of the class were withdrawn in 1964 including 31263, that had by that time run an estimated mileage of 1,849,668 miles. Fortunately this was not the end of the story for this particular locomotive, as unlike all other classmates it was saved. 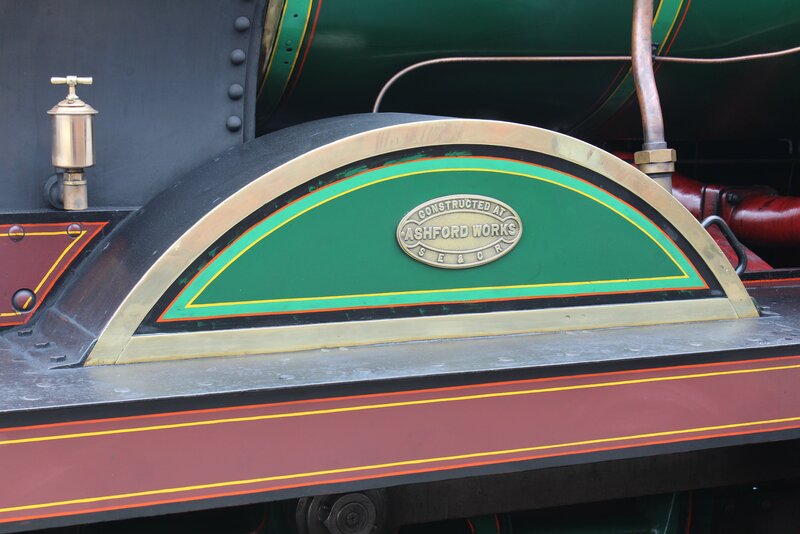 This was thanks to the efforts of the H class trust who bought this locomotive direct from British Railways. 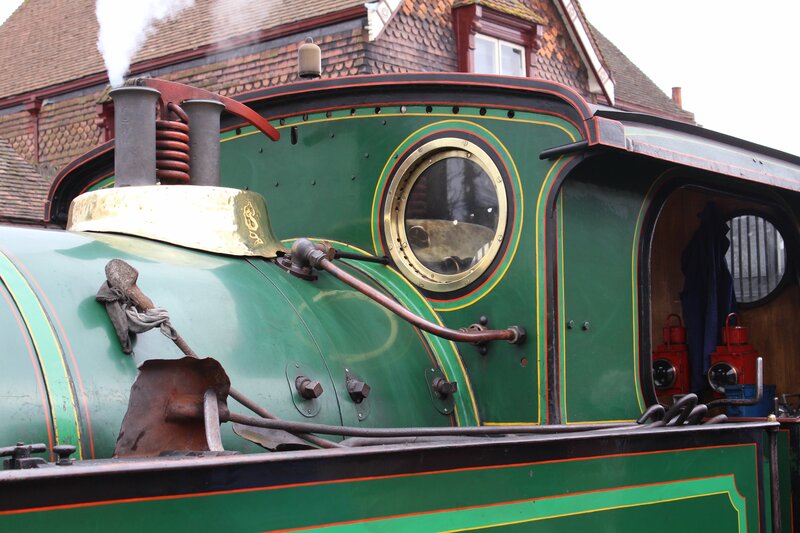 263 first moved to Robertsbridge before spending a number of years at the SE Steam Centre in Ashford, Kent. Unfortunately the centre was not successful and as a result its locomotives moved to the Bluebell Railway with 263 arriving in 1975. 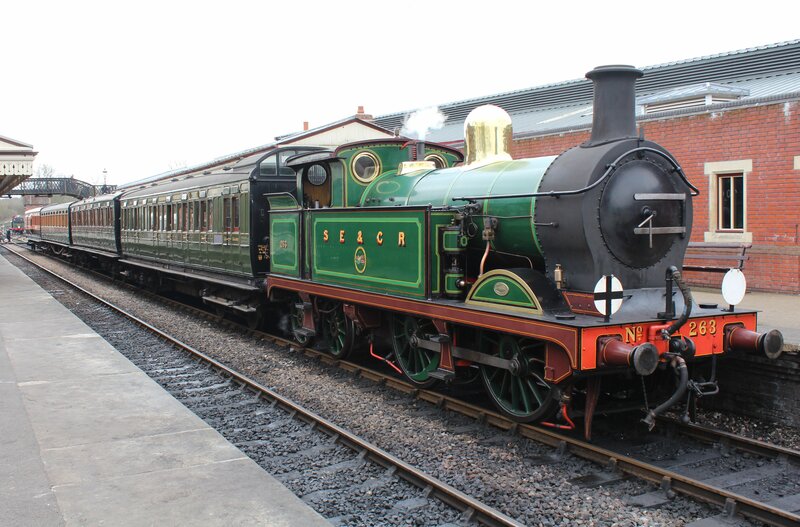 In 2008, ownership was transferred to the Bluebell Railway Trust who started its latest overhaul in the following year. 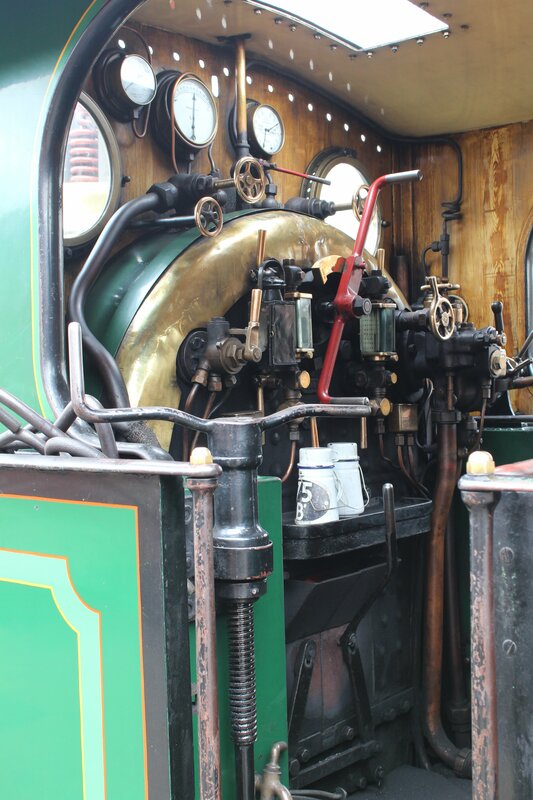 As can be seen from these pictures, the locomotive is immaculate and very well looked after. 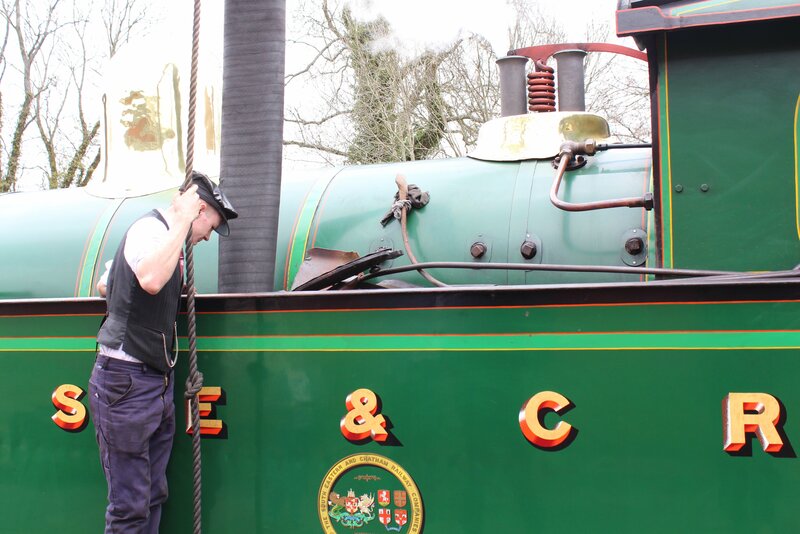 It is worth making the trip to the Bluebell Line to see and be pulled along by 263; a rare 110 year old survivor.